Hey folks, I just wanted to update those of you following the Beer It Forward fun. The third package has landed in San Diego. Billy's package of Missouri beer to Mike was quite nice! Next up Mike is going to pick the next target from our participant list to send to, and then they will do the same and so on. Remember, you don't want to let your target know that they're next, we want it to be a surprise! 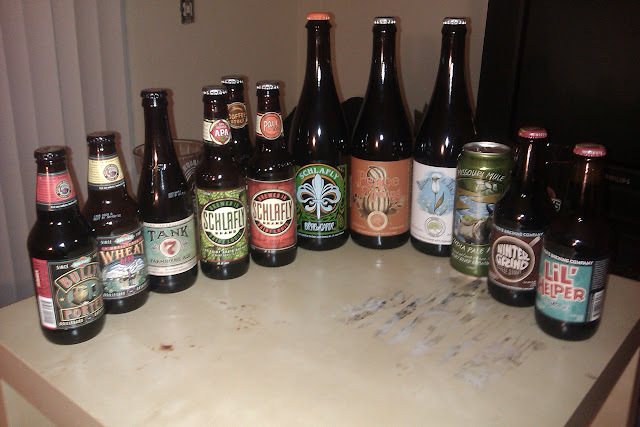 Also, not pictured were a pint glass from Boulevard and one from Mother's. UPDATE 3/26: A few people pointed out to me on twitter that Hoptimum actually does have the ABV listed. It's part of the block of text with the Government Warning and I missed it. But the point still stands for many other beers, I would say. It's only a minor annoyance when it's tough to find on the packaging. I'm going to go on a brief rant here. I try not to post anything negative on this site, but this just baffles me. 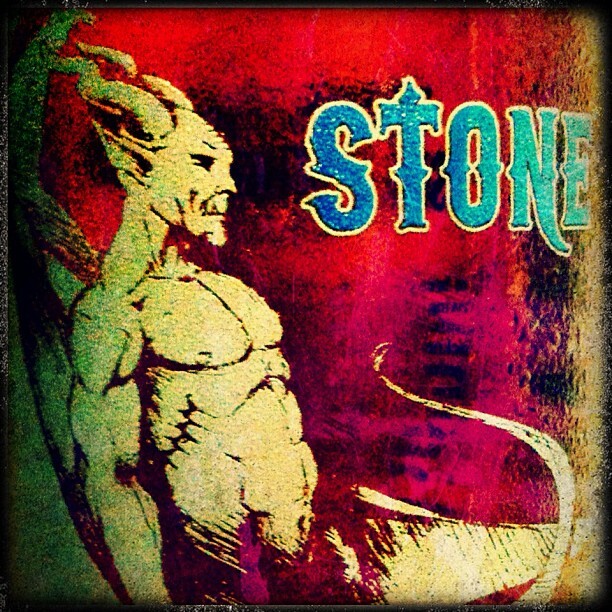 Why do some breweries not put the alcohol content on their labels? Is there some reason that I'm not aware of? It seems like a no brainer to me. 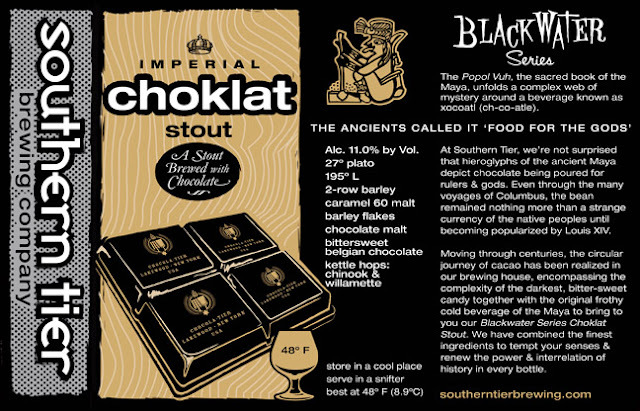 In fact, I'd love to see all breweries putting ABV, IBUs and SRM on their bottles. 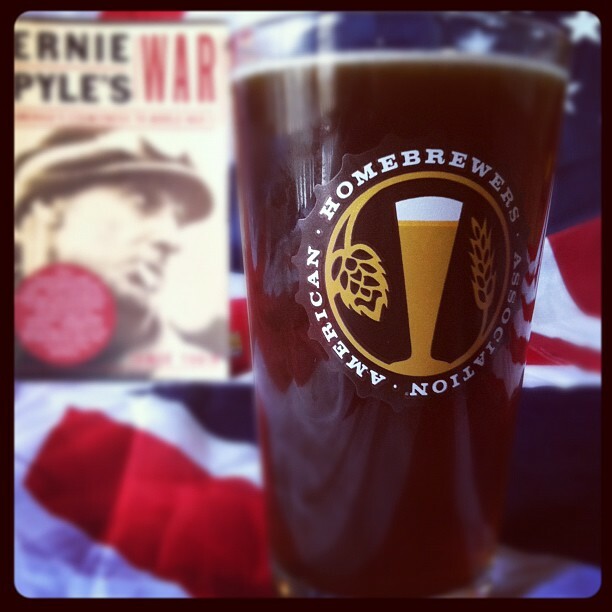 Hell, even throw on what malts & hops were used. The more info the better. Here's a great example of a brewery doing it right. ABV, gravity, ingredients all right there for you. This is the beer that sparked this post, Sierra Nevada's Hoptimum which was recently released in 12oz bottles (it had previously been out in bomber form). This is a pretty good beer for sure, but I spent a few minutes looking for an ABV (sometimes I'm convinced that I'm just not seeing it somehow) and came up empty. I had to go to Sierra's website to find out it is 10.4%. What gives? Also on a related note, I think it would be greatly beneficial to put a date on every bottle as well. 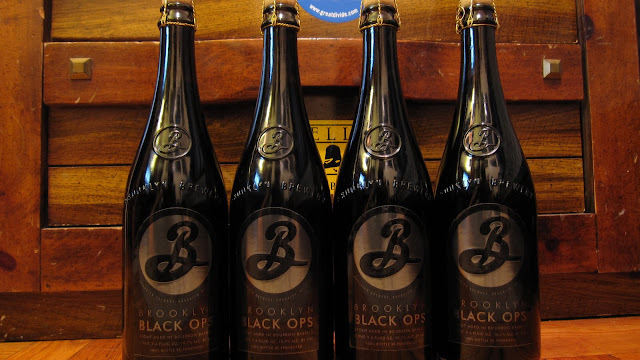 Especially something like Founders KBS, which I end up using a label maker to print dates for purposes of keeping track of vintages in my cellar. Here are four of my favorites beertography submissions I've seen on Twitter in the last week or two. If you would like to have your photos featured on the site, all you have to do is tag your tweet with #beertography and/or mention me @beertography. I'll comb through and select my favorites for posting on the site. Cheers! Things have changed a lot over the last 3 years. Beertography.com basically started as something to do with all of these pictures of beer that I was amassing on my computer. Who knew it was going to lead to making so many great new friends? I hope to meet many more in the years to come. I really appreciate everyone who sends me their beer photos via email and twitter, and of course those that participate in the Beertography Contests. I hope that we can continue to share great beertography and beer stories, and of course a few beers together as well. Here's to 3 more. And 3 more after that. And then some more. 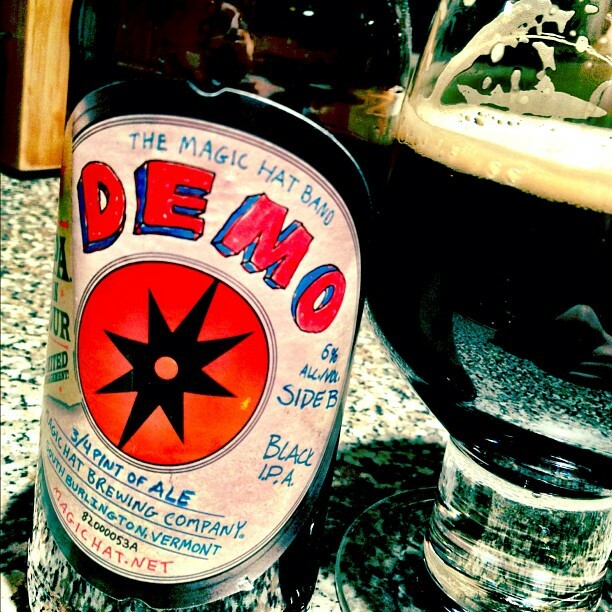 I had my craft beer awakening in 2006, smack dab in the middle of a 2-year stint of living in Hoboken. While it can get a bit rowdy on weekend nights, Hoboken is still a great town. But when I was there, save for a store or 2 and basically only 1 bar, craft beer was almost nowhere to be seen. Thankfully, that is no longer the case. If you take the Path train to get to Hoboken, Texas Arizona is literally the first thing you see when you get there. Located directly opposite of the Path train entrance, Texas Arizona was a bar I frequented once or twice, mostly unimpressed with the varieties of fizzy yellow beer they stocked. 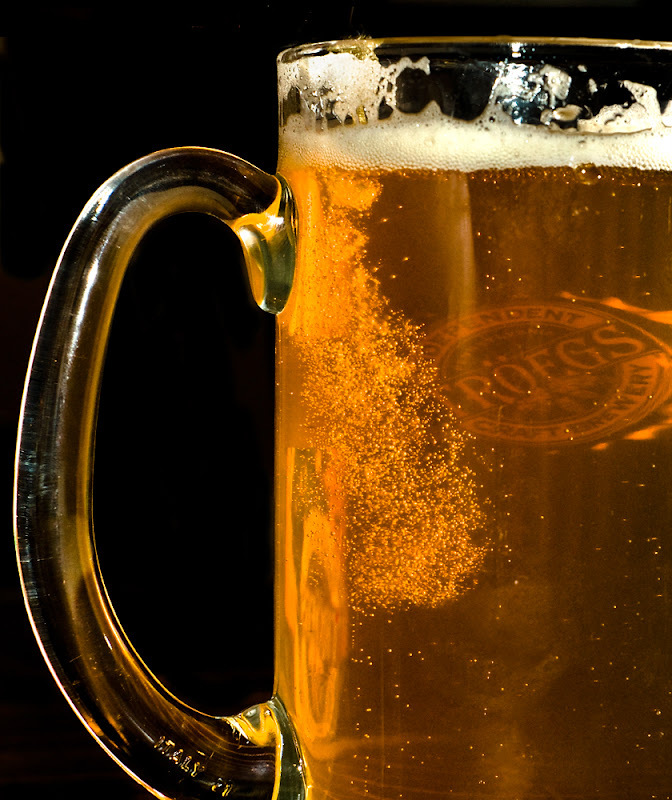 Today the spot is a beacon for craft beer fans with a whole slew of great suds to enjoy. 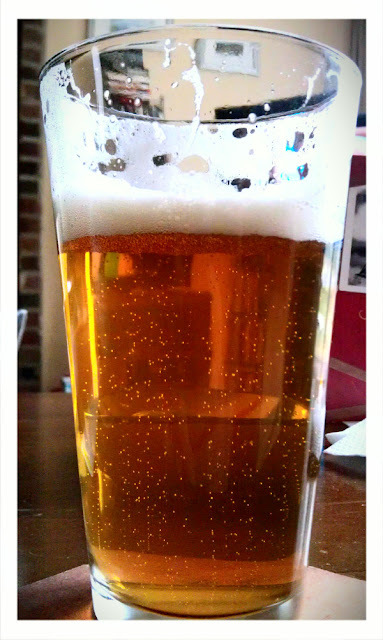 half Allagash White, half Guinness! TXAZ has also had a few great events as well, including a Dogfish Head Night this past week and a highly successful New Jersey Brewer's Appreciation Night including draught pours from NJ Beer Co., Flying Fish, Ramstein, Cricket Hill, Kane and Carton. On top of all of that, they are a part of the New Jersey Craft Beer Membership Club where if you're a member you can save 10% on your entire bill. Full disclosure: I help out the NJCB team as a Regional Rep, but believe me that both Texas Arizona and the New Jersey Craft Beer Membership are well worth checking out. 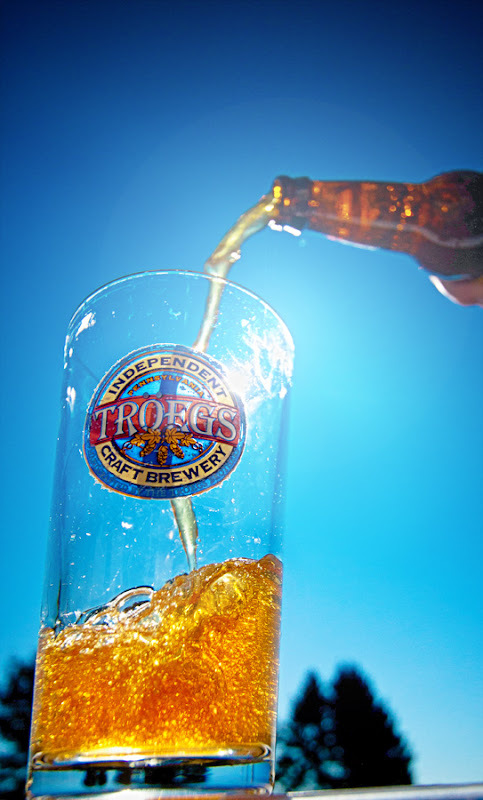 Congratulations to all three of our winners in our Troegs Beertography Contest: Lance Whitmire, Jonathan Steele and Greg Jones! I'll be contacting the winners to get you your prizes. Hey folks, I just wanted to update those of you following the Beer It Forward fun. The second package has landed in Springfield, MO. Robert's package to Billy was a helluva bunch of beer! Next up Billy is going to pick someone else from our participant list to send to, and then they will do the same and so on. Remember, you don't want to let your target know that they're next, we want it to be a surprise! The entries were so good that Troegs had to pick 15 instead of the 10 we planned on. Over 200 entries! Quite amazing, really. 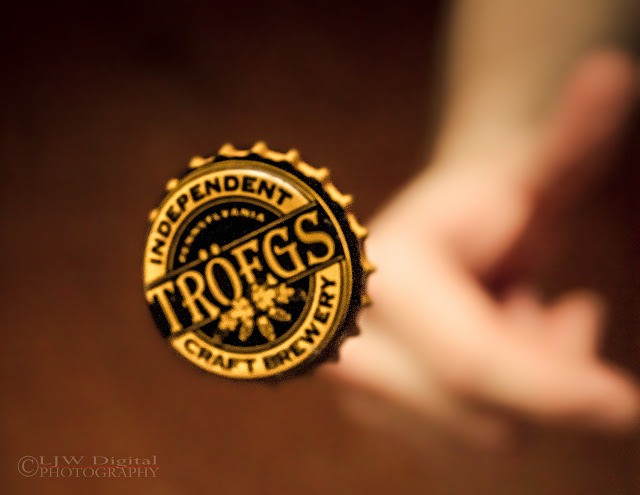 Now you have to head over to Troegs' Facebook Page in order to vote for your favorite photo! The photo with the most Likes at 4pm on Friday will be the Winner of the People's Choice Nugget Nectar Prize Pack! 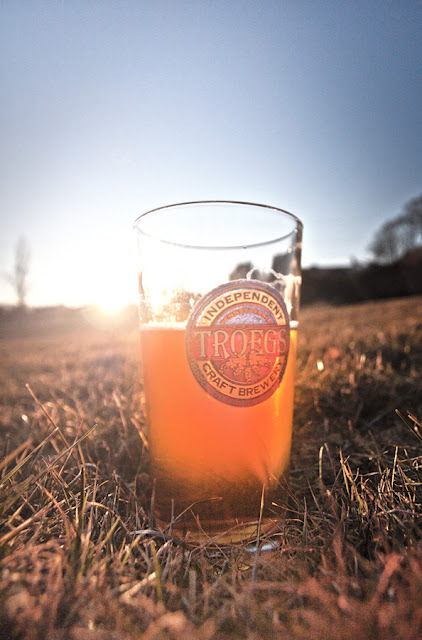 Also on Friday, Troegs will be announcing their Brewer's Choice photo selection and I will pick my Best in Beertography, both of which will receive prizes. 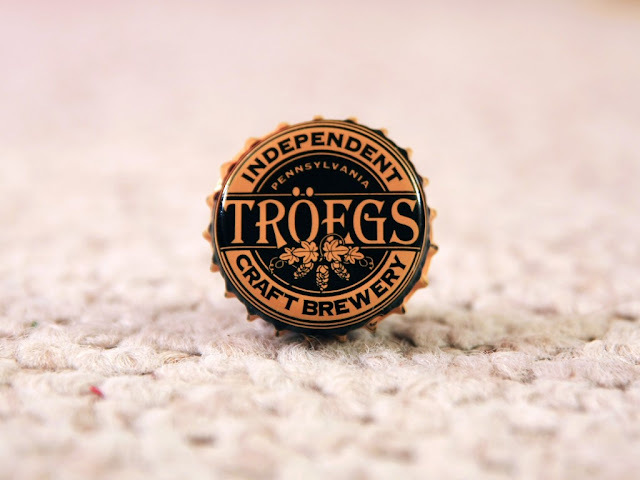 Troegs will also be posting all of the entries on their website. Stay tuned and go vote now! Troegs Beertography Contest Deadline is Tonight! 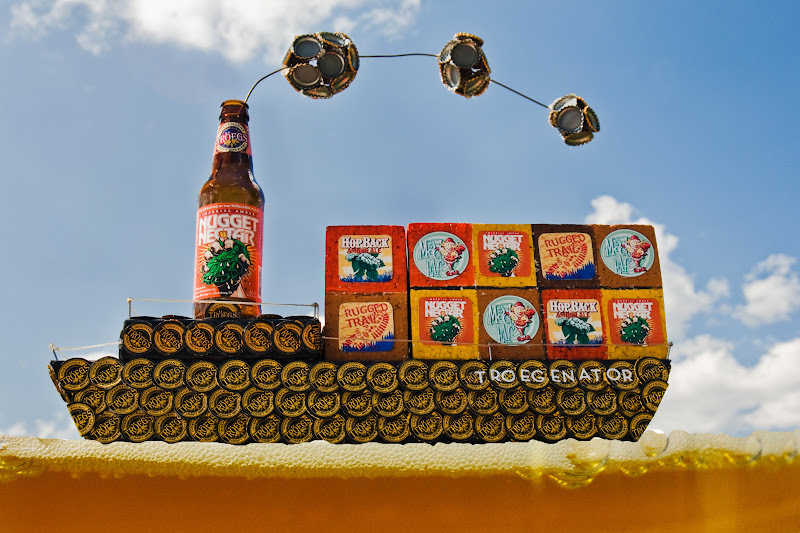 - All submissions must be emailed to beertography@gmail.com with the subject line Beertography Contest before 11:59pm on Thursday March 1st. 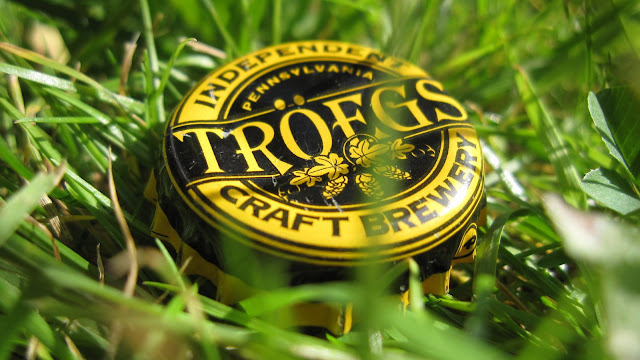 - All photo submissions must somehow feature Troegs in order to be considered. We're looking for a combination of most creative along with best photography here. 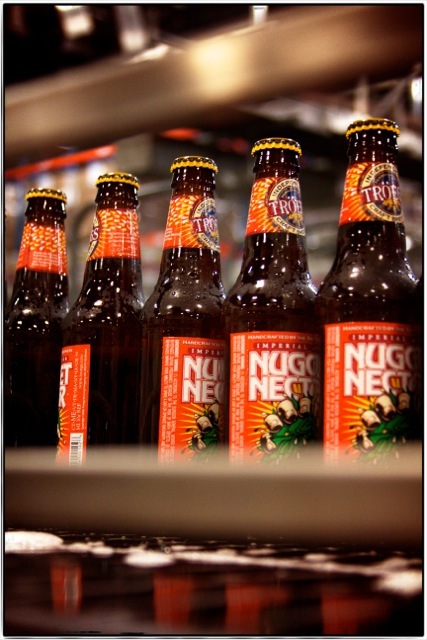 Please Note: Your photo submission does NOT have to feature Nugget Nectar. It can feature any of the Troegs beers, the brewery, etc. - You can enter as many photos as you'd like. People's Choice - Troegs will choose their ten favorite photos and upload them to Facebook. 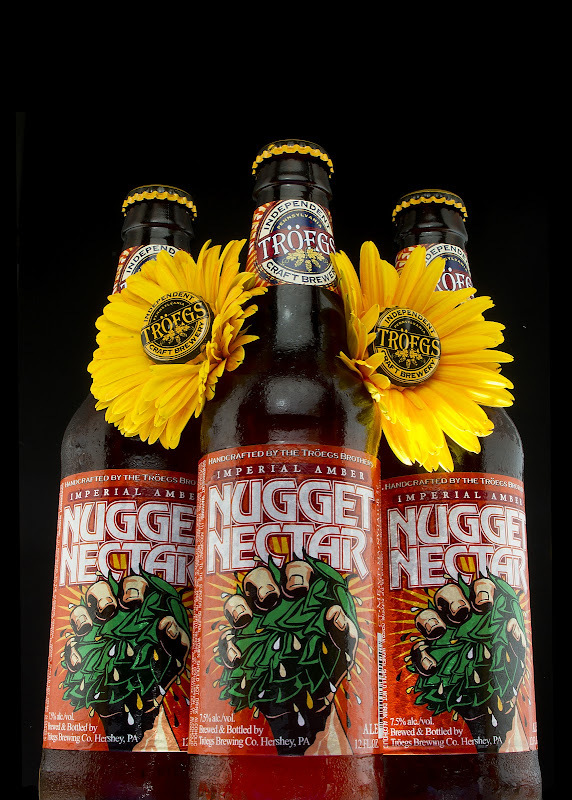 The photo with the most likes wins the Nugget Nectar Prize Pack. Brewer's Choice - Troegs will select their favorite photo and I will send the winner a Troegs glass, magnet and keychain. 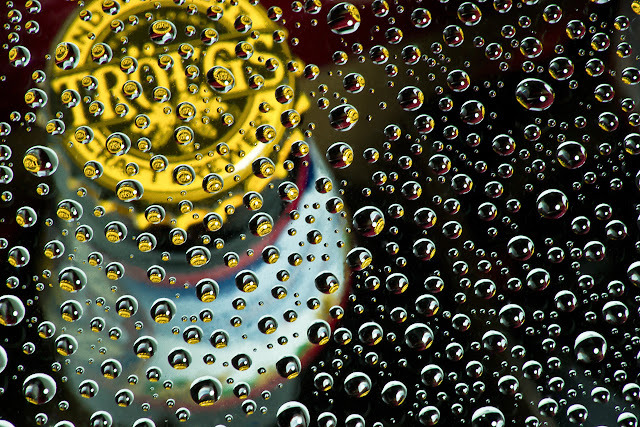 Best in Beertography - I will pick my favorite submission and send them a Troegs t-shirt. Any questions? Feel free to email me. Good luck!